Today’s offer: Food essentials for 50p! Fill your trolley with great value food finds at Asda – for 50p. Take your pick of peppers- 50p each, red onions, cabbage greens and carrots, all for 50 pence a bag. These vegetables are a great way to keep your healthy eating on track. Check out Kingsmill 50/50 and soft medium white bread, along with a range of pasta varieties, also 50p! Heinz soups are available at the same price. 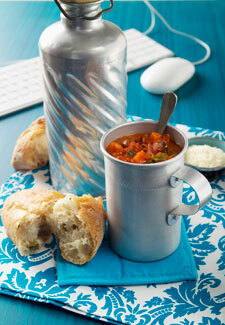 Why not give the new Cream of Tomato Soup with a Hint of Basil a try? Shop online by 11pm and you can still be entitled to next day delivery. Offer ends 14th January.